What is Acupuncture? 6 Ways It Can Improve Your Health! Acupuncture is a holistic health technique that stems from Traditional Chinese Medicine practices in which trained practitioners stimulate specific points on the body by inserting thin needles into the skin. Today acupuncture is one of the most popular practices of Traditional Chinese Medicine (TCM) in the West. TCM is a complimentary health approach that first originated in ancient China more than 2,500 years ago and has been evolving ever since. To treat a wide variety of diseases, pain and stress-related symptoms, practitioners of TCM use holistic techniques that include acupuncture, herbal medicines, tai chi, qi gong, massage therapy, and various “mind and body practices.” The use of acupuncture and other TCM techniques has risen steadily in the U.S and other Western countries over the past several decades. According to a large survey done on complementary health approaches by the National Institute of Health in 2007, in the U.S. alone at least 3.1 million people had tried acupuncture in 2007. The survey showed that the number of visits to acupuncturists tripled between 1997 and 2007. (1) The first question most people ask me is, “Does acupuncture hurt?” Surprisingly, although needles are used in acupuncture, trea tments are relatively pain-free. In fact, one of the most popular uses of acupuncture is to reduce chronic pain throughout the body in a natural way, without the need for medications that can cause unwanted side effects. Most of the studies investigating acupuncture to date have examined whether acupuncture can safely reduce pain. However, it’s expected that in the next several years, researchers will continue to study whether or not it might help with other conditions, too – including anxiety, depression, inflammation, hot flashes, side effects of chemotherapy and insomnia. The National Institute of Health does consider acupuncture to be “generally considered safe when performed by an experienced, well-trained practitioner using sterile needles.” (3) However, it’s important to always go to a practitioner that is well-trained in acupuncture as well as to a facility that is very careful about using clean needles — improperly performed acupuncture and/or contaminated needles can pose a big risk. 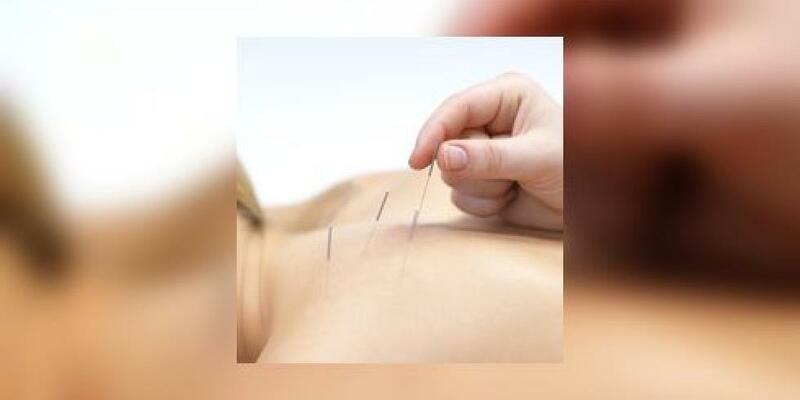 The good news is that the FDA regulates acupuncture needles as medical devices and requires that the needles be “sterile, nontoxic, and labeled for single use by qualified practitioners only.” To date, there have been very few complications reported from the use of acupuncture needles, so the risk is thought to be very low. This doesn’t mean that risk doesn’t exist, however, because some serious side effects have occurred when non-sterile needles have been used. As far as how much acupuncture is needed before seeing results, firm clinical guidelines have yet to be established. Acupuncture is usually recommended as a complimentary treatment method — as something to try in addition to other pain management techniques, such as physical therapy, exercise and reducing inflammation through a healthy diet. Acupuncture was proven to be more effective for improving chronic back pain than no acupuncture treatment in a 2006 study done by the University Medical Center of Berlin. In patients with chronic low back pain, there was a significant difference in pain reported between groups of patients receiving acupuncture over eight weeks versus those not receiving any treatment. (5) Even more impressive is a 2012 study done by Memorial Sloan-Kettering Department of Epidemiology and Biostatistics aimed to determine the effect of acupuncture for four chronic pain conditions: back and neck pain, arthritis, chronic headache and shoulder pain. Beijing University of Chinese Medicine conducted a large meta-analyses in 2009 that showed a beneficial effect of acupuncture on reducing insomnia symptoms, compared with no treatment. (7) The analysis found that in patients who were taking medications or herbal treatments to help with sleep, adding acupuncture therapy showed better effects than taking the medications or herbs alone. Another benefit was that unlike many sleep medications, the acupuncture sessions had no adverse side effects at all. According to the National Cancer Institute, several studies show that acupuncture can help boost immunity and speed up recovery following cancer treatments. One randomized trial, for example, found that acupuncture treatment enhanced immunity, platelet count and prevented a decrease in healthy cells after radiation therapy or chemotherapy when compared to receiving no acupuncture. (8) Researchers reported that the patients in both acupuncture treatment groups also experienced less pain from treatments, improvements in quality of life and a decrease in various negative side effects of chemotherapy, such as nausea. Acupuncture points, or “acupoints,” are specific locations on the body that are the focus of acupuncture treatments. 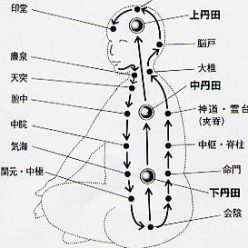 TCM explains acupuncture as a technique for “balancing the flow of energy or life force,” and that energy can be reached by stimulating small specific channels on the body. TCM practitioners believe that there is a flow, known as “qi” or “chi,” that is located in certain “meridians” throughout the body. Chi is thought to be what separates the sick from the healthy — and when chi is not balanced, illness, pain, poor sleep, and fatigue can all occur. Acupuncture is considered to be a family of procedures, not one single exact approach to pain or disease management. All acupuncture practices involve the stimulation of specific points on the body using a variety of techniques, usually needles. 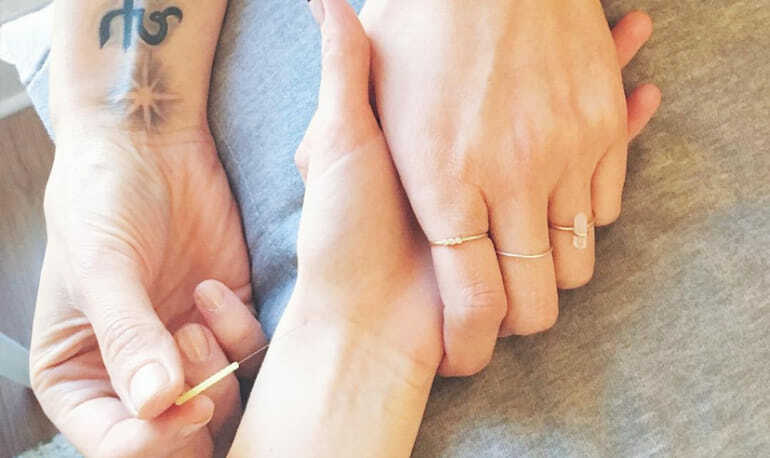 The type of acupuncture that has been studied most so far in clinical, scientific research settings is the type that uses thin, solid, metal needles to lightly puncture the skin. Acupuncture is usually done by hand, with a trained practitioner carefully inserting the needles into specific points in the body very shallowly into the skin. Normally about 10 to 20 thin needles are used at one time. The needles are small enough to fit inside of a normal-sized needle that would be used to take blood, making the process pretty painless for most people. There are also types of acupuncture that use light electrical stimulations that flow through the needles, or no needles at all. For example, acupressure is often thought of as simply “acupuncture without the needles” and uses targeted massage-type techniques to stimulate energy in the body by pressing on certain points. Is Acupuncture a Viable Therapy Option? Yes, especially for chronic pain and the benefits listed above. While there is more research that needs to be done in other areas, the studies already completed show health benefits both from the needle insertion and also from the strategic placement of these needles. It seems to work best as a companion to other treatments — as it connects the body in a way that other natural treatments are more effective. (12) While there are some studies that show the effect of pain control is the same for those receiving just a random needle therapy as opposed to strategic acupuncture, those receiving the strategic acupuncture show lasting relief. There are also theories suggesting that the body’s system is also stimulated by the needle prick itself and triggers the body to begin the healing process and release endorphins which inhibit pain. Pain is a reciprocating signal from the brain to the body — and from the body to the brain — telling it that something is wrong. The more pain the body feels, the more it expects and can experience that pain. While often there is a real reason for pain, often the experience of the pain can be debilitating more than the actual cause of the dysfunction. Eventually, most people with chronic pain — due to the unceasing nature of pain and/or the increase of pain — become desensitized to pain medication, so that the body needs more and more. Not only is the pain medication damaging to the body because it increases inflammation, but it also has a host of other side effects that increase with prolonged use. (13) Acupuncture is a promising solution to the chronic pain sufferers that have come to expect pain and thus experience heightened levels of pain and trauma. As with many natural therapies, including new mainstream mind-body awareness therapies, how the patient perceives and receives the treatment can influence the benefits. This is why focused breathing, bio-feedback, and other alternative treatments are now being implemented in mainstream medicine. Whether acupuncture is a treatment of the nerve systems and pathways, or whether it’s training the brain to experience less pain, either way, the long-term benefits and low risk of side effects makes it a viable treatment option in my book. When they hear I do acupuncture, their eyes widen in surprise, and I often get a million questions. I get it. People are curious, and it’s a relatively new medical treatment within the scope of Western medicine. Add to that the fact that I look like the complete opposite of a traditional Chinese medicine doctor, and it tends to pique people’s interest. I mean, you’re using needles right? Yes…and no. 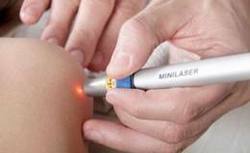 The needles we use in acupuncture are miniature versions of the ones used to draw your blood at the doctor’s office. They are about the size of two to three human hairs. Sometimes you may feel an initial prick, which fades away in seconds. Most of the time you don’t even realize you have a needle in your body—unless you decide to start doing jumping jacks all of a sudden (not recommended). I don’t mean this as an offense to hippies (especially since I consider myself one!). Acupuncture is for everyone. You would actually be surprised how many people are getting regular treatments but keeping it a secret. I’ve treated everyone from the CEO of a major company to the local school teacher. Ask your friend, co-worker, or family member if they have ever tried acupuncture. You’ll probably find that the answer is often yes. Myth #3: Acupuncture only treats pain. It’s true that acupuncture helps with pain, especially joint, back, headaches, and menstrual cramps. There is an abundance of research to back up its effectiveness for pain. However, I’ve also successfully helped manage many other conditions using acupuncture, including nausea, allergies, anxiety, infertility, depression, hypertension (high blood pressure), and fibromyalgia, among others. Myth #4: Acupuncture is just a placebo effect. Actually, this may be true to some extent. However, if you feel better, do you really care why? Still, it’s mostly a myth, as numerous studies of acupuncture have shown that our brains release chemicals like endorphins (natural painkillers) and substance P (calms overactive nerves) along with additional anti-inflammatory effects on the body. Myth #5: Acupuncture is addictive. People tend to think that once you start acupuncture you’ll always need it in order to feel good. In fact, for the majority of illnesses, the goal is to treat the acute problem so that you don’t need an endless number of treatments. However, for people with chronic conditions, it’s often extremely useful to have a maintenance acupuncture schedule to help keep problems under control. Acupuncture Mont-Saint-Hilaire est située près de Beloeil, McMasterville, Otterburn Park, Mont-Saint-Bruno, Saint-Basile-le-Grand, Sainte-Julie, Saint-Hyacinthe,Saint-bruno de Montarville, Carignan et les traitements sont donnés à KIROCLINIQUE Mont-Saint-Hilaire. L’acupuncture est tout à fait compatible avec d’autres thérapies conjointes telles que la chiropraxie, naturopathie, massothérapie, phytothérapie, physiothérapie et ostéopathie. Research reveals how acupuncture helps with constipation, dementia and more. The World Health Organization recognizes 28 medical conditions, including allergies, depression, headaches and hypertension, which can be treated effectively using acupuncture. The thin needles used in the ancient medical practice cause the release of endorphins—the body’s natural painkillers—and increase blood flow, which may boost your body’s immune response. More than 3 million people in the U.S. have embraced acupuncture as a treatment option for a variety of medical conditions. And researchers and scientists continue to look for ways to use the therapeutic option. Constipation. A study released in September in the Annals of Internal Medicine showed that nearly one-third of participants treated with electro-acupuncture in the abdominal wall had improvements with the symptoms of severe constipation. The eight-week protocol used low-voltage electrical currents passed through acupuncture needles placed in the abdominal wall. Dementia. Researchers in China believe acupuncture may be effective in the treatment of mild cognitive impairment treatment of mild cognitive impairment, a precursor for dementia. The study, released in August, tested the effectiveness of acupuncture as an alternative to or in conjunction with other treatment options. Participants who received treatments three to five times a week for two months improved test scores on their Mini Mental State Examination, which measures the progression and severity of dementia or other cognitive disorders. Menopause. Researchers at Wake Forest Baptist Medical Center found that acupuncture can reduce the frequency of hot flashes and night sweats. associated with menopause by 36.7 percent. Study participants received acupuncture 20 times during a six-month period, and the effects were shown to last for more than a year. Carpal Tunnel. Electro-acupuncture helps carpal tunnel patients with mild and moderate symptoms when used with splints overnight. The study, released by The Chinese University of Hong Kong in June, tested the use of acupuncture stimulated with low-voltage electrical currents for 30 minutes 13 times over 17 weeks in conjunction with overnight splinting. Study participants reported less disability and fewer carpal tunnel symptoms, plus more function and dexterity than those who only used the splint overnight for 17 weeks. Opioid Addiction. The Acupuncture Opioid Task Force, Acupuncture Now Foundation and the American Society of Acupuncturists released a letter earlier this year outlining the benefits of acupuncture in the treatment of opioid addiction. Researchers believe acupuncture can stimulate the production of natural opioids in the body that mirror or exceed the benefits of the drugs without the side effects. If you’re interested in pursuing acupuncture as a treatment option for a medical issue, make sure you find the right practitioner to help with your unique medical condition. Some acupuncturists specialize in conditions like cancer, fertility and dermatological issues, while others are generalists. Ask for recommendations from family and friends for trusted practitioners or search the web for licensed practitioners in your area. Your relationship with your acupuncturist may be a long-term one to get the full benefit of the ancient practice.